Today’s “digital” business models are centered on driving revenues and customer impact using interactive tools and associated analytics. The digital outcome is tied to the business model. Applications provide the enabler to provide the digital outcome, they do not provide the outcome itself. In the past, there has been a tendency to see transformation as an IT conversation—which hasn’t been helped by the technology-fueled narrative pushed by the IT services giants. This has changed significantly as these same firms look to the success of design agencies and either buy or replicate their services to take the digital transformation agenda to a higher-value threshold. To an extent, Wipro has struggled to bring pure-play design engagement stories to the market—often the case for many of the large providers—and it stands to reason that the firm would play to its strengths in the application services space (our recently published Top 10 analysis put the firm in a highly competitive position). However, if the firm is to play a full role in the digital transformation space, particularly if judged in the same terms as the more acquisitive digital giants such as Accenture, it needs to push evidence of its capabilities to current and future clients. And it seems, after two years working with its digital and design acquisitions the firm has finally found the right blend of new services that supplement and leverage its traditional strengths. Hearing more from Wipro’s growing digital business, we’re starting to see an inflection point where the firm’s relatively independent design arm is leading engagements and leveraging the mothership’s extensive capabilities to turn a design into reality. Needless to say, there are countless acquisitions of design agencies going wrong because heavy-handed buyers force out talent as they gracelessly replace cool and quirky logos with their own. That doesn’t seem to have happened with Designit; much to Wipro’s strength, the firm’s relative independence is helping it grow an independent design business and supplement and leverage Wipro’s core offerings. A design agency plugging for an IT services major isn’t news in itself; either through partnership or acquisition, the results can often be very similar. What appears to be the glue holding these two very different businesses together is Wipro’s growing consulting heft. Senior consulting leaders at the firm are all too eager to acknowledge that the direction of travel is far from the traditional stomping grounds of the IT suite – which makes up the bulk of their customer base – as Wipro executives focuses more on blending the creative brains of Designit with the engineering brawn of Wipro to meet the changing demand for this key customer demographic. While this all sounds like Wipro is on solid ground now, it’s often the case with talent heavy service delivery models—particularly one with niche demands such as digital design—that sustaining growth becomes a challenge in paradox to initial success. So, while the blend of growing consulting, design, and traditional IT is working for the firm now, it will need to continue building its credibility and presence in the swiftly changing market. To succeed in the space, the firm must shift from the heritage of taking orders from client CIOs to challenging them with new ways of thinking. While its leadership team is adamant that’s the direction of travel, it’s a tough journey to continue when the cultural heritage of the business remains unchanged. It must drive the conversation with its clients and ensure their perspective of digital evolves beyond traditional IT, to make use of the firms growing design footprint. 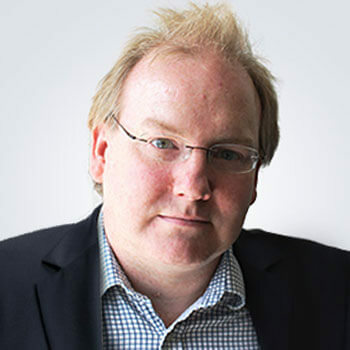 Ollie O’Donoghue is Research Director, IT Services. 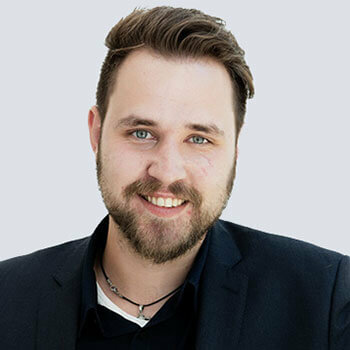 With over five years experience in the IT services industry—as both a practitioner and a research analyst—Ollie understands the impact IT services have in the modern business environment.